When you upload your Storytellers Vault product, you will enter all of the metadata for your product, including setting its price. You have the option to set the price to be free ($0). You can also set the price to be Pay What You Want (PWYW), meaning that each customer can set their own price (from $0 up) to pay for your product. Most products, though, will be priced at a fixed price. 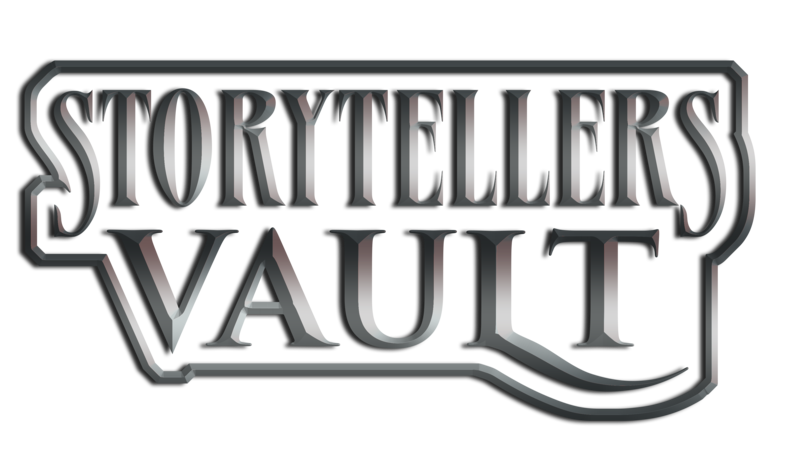 Once you activate your Storytellers Vault title for public sale, your account will begin to accrue a 50% royalty every time your product sells. You can withdraw your accumulated royalties via PayPal by going to the My Money section of the Account page. Note that the My Money section of your Account page will not display until you have a balance accrued. Will I receive a 1099 tax form for my royalty income? We do not issue 1099-MISC forms to authors who receive their royalties from us via PayPal payments. The Internal Revenue Service does not require us to include payments made via PayPal on Form 1099-MISC, and as PayPal is currently the only means of withdrawing author royalties, we do not issue 1099-MISC. Please be aware the Internal Revenue Service does require PayPal to send you a separate, Form 1099-K for PayPal payments when both of these are true: a) payments into your PayPal account total more than $20,000 and b) the total number of payments exceed 200, within a calendar year. It is therefore likely that many authors will not meet the thresholds for PayPal to send a Form 1099-K. In this case, authors will neither receive a Form 1099-K from PayPal, nor will they receive a Form 1099-MISC from us. For authors who also have publisher accounts with OneBookShelf marketplaces, you may have additional payments from OneBookShelf made by PayPal or check from your publisher account. See the Publisher Knowledge Base tax information section for more information.